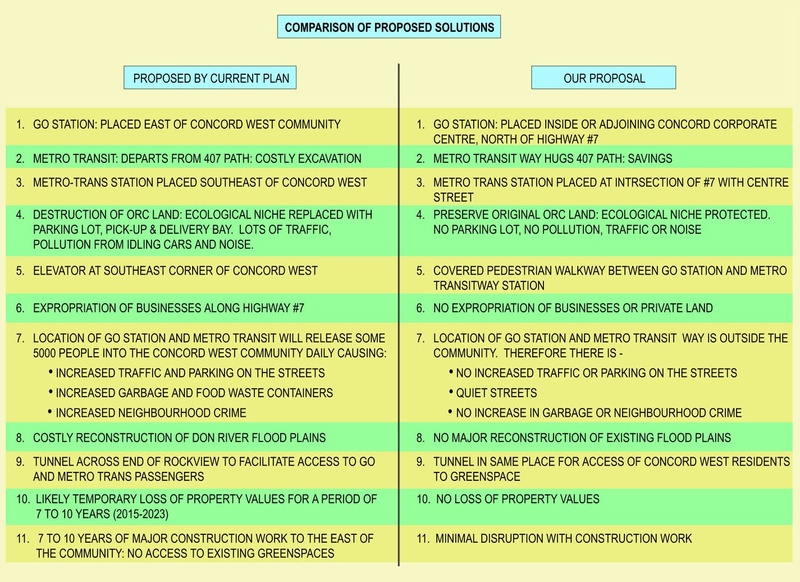 June 17, 2014: Committee of the Whole – Concord GO Centre Secondary Plan | Save Concord West! 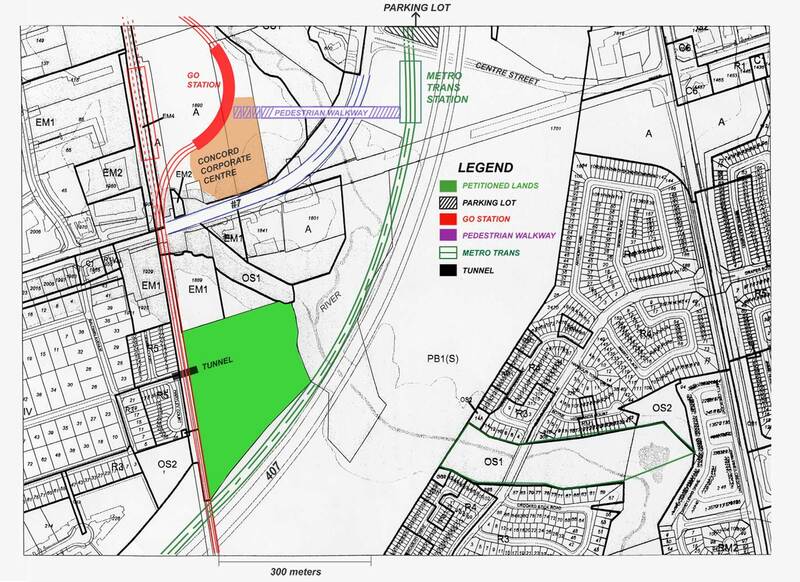 Tuesday, June 17, 2014 at 11:00 a.m.
On June 17, 2014, as Item 7 of its 11 am public meeting, the Vaughan Committee of the Whole discussed the City Staff’s Response to public, government and agency comments on the Draft Secondary Plan for the Concord GO Centre. This Draft had been the subject of a prior meeting of the Committee of the Whole, on November 26, 2013, on which we reported in detail on this website. The 130-page document which was to be subject of the June 17th discussion was only made available to the Concord West residents one week before the meeting, making it very unlikely that any of them would have the time to read it with any kind of care, let alone give it the kind of careful consideration that would be merited by a proposal with potentially decisive repercussions on the life of the community. It is difficult not to conclude from this fact alone that there is a considerable cavalierness in the attitude of the City’s Council and Staff towards the communities whom they are appointed to serve. This conclusion is only strengthened by the fact that in the period between the two meetings – the one on November 26, 2013 and the one on June 17, 2014 – no attempt was made by the City to discuss with the Concord West residents the dissatisfactions that the latter had expressed, in written documents and in oral deputations, concerning the Draft Secondary Plan; and this in spite of the fact that the need for such discussion was pronounced by some of the Councillors during the November meeting. Cavalierness and also condescension – this is the impression one is struck with when reviewing the repeated pattern of promises of support (by the City to the Concord West residents) followed by inaction, rubber-stamping of the dictates by other agencies, and, in the official documents, at most feebly-worded token statements hinting at “alternatives”; while the residents are being appeased by pedagogical explanations about either the City’s impotence in the face of regional or provincial forces majeures, or the irrelevance of the City’s approval of options known to be unacceptable to the residents, since – so the argument goes – in the face of financial realities, these decisions will not be implemented any time soon anyway. And then there is the non-transparency of the planning process: the behind-the-doors negotiations with regional and provincial agencies; the barring of the residents from participation in the crucial (but supposedly “too technical”) deliberations of the so-called Technical Committee; the invention of the so-called Steering Committee and the Public (Dotmocracy) Workshops as ersatz participation games for the residents; and there is also that ubiquitous euphemizing, the weapon of all bureaucracies: the residents’ desiderata become “input”, their clear opposition becomes “concerns”, the City’s non-support is clothed as “appreciation”, its cavings-in are clothed as “creation of opportunities”, and so on. One gets the impression that what the Vaughan municipal government sees as its charter is not to represent its constituency but to appease it. Let us state this clearly: the residents of Concord West do not lack an understanding of the political machinations and pecking-orders that govern the shaping of the Secondary Plan. What they expect from their municipal government is not based on illusions of its omnipotence. 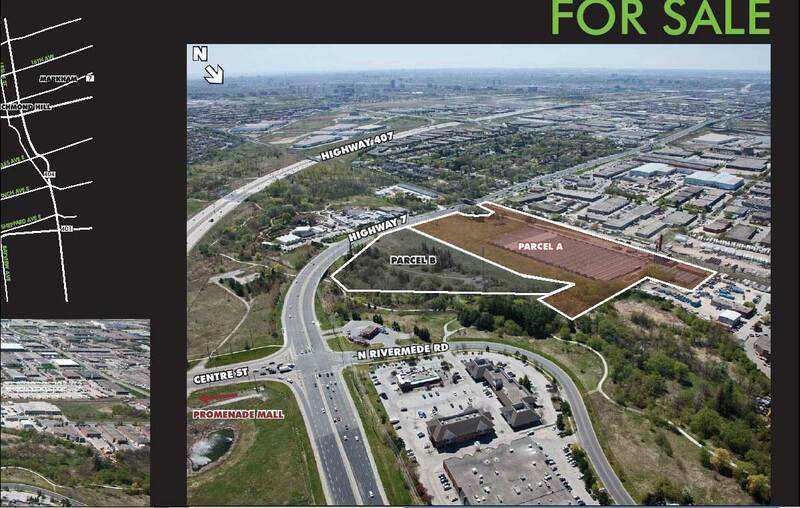 Instead, what they expect – and rightly so, given the pre-election promises made by the Mayor, the local Councillor and each and every regional Councillor – is the City’s clear, unwavering and unequivocal support for the preservation – as a greenspace – of the entirety of the Concord West Greenspace in Area 6, and the City’s clear, unwavering and unequivocal opposition to locating there a transportation hub. There is a difference between taking a clear position on the side of the community and having control over the outcome, and the residents are fully aware of this difference. The Concord West community is disappointed – deeply disappointed – with its municipal representatives not because they are not omnipotent, but because they shilly-shally, equivocate, dissemble, obfuscate, play appeasement games, and treat the future of the community cavalierly and condescendingly. In short, because in spite of all their promises, they have not, throughout the machinations of this planning process, ever taken a clear position on the side of the Concord West community. The Committee of the Whole meeting of June 17 fully exemplified this municipal maneuvering; and it was crowned by a unanimous vote in support of a Secondary Plan document that most of the Councillors have not read, that the residents have been given no opportunity to comment on, and that contradicts the Mayor’s and Councillors’ promises to stand with the community in its fight for the preservation of its natural and cultural environment. Below are the texts of the deputations given by Concord West residents at this meeting, together with a summary of the related proceedings. 2. 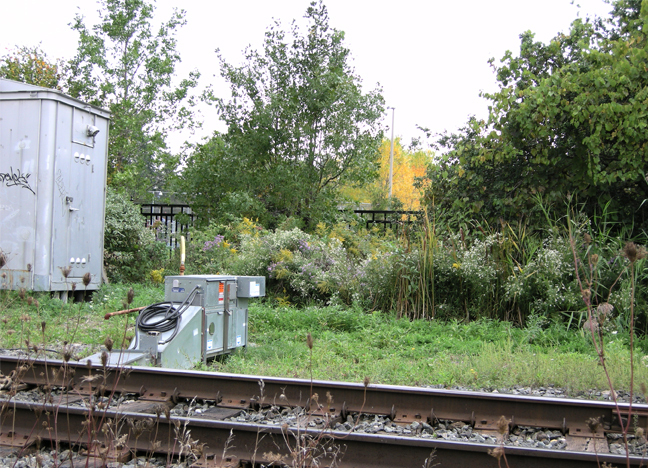 Locating the GO station north of Highway #7. 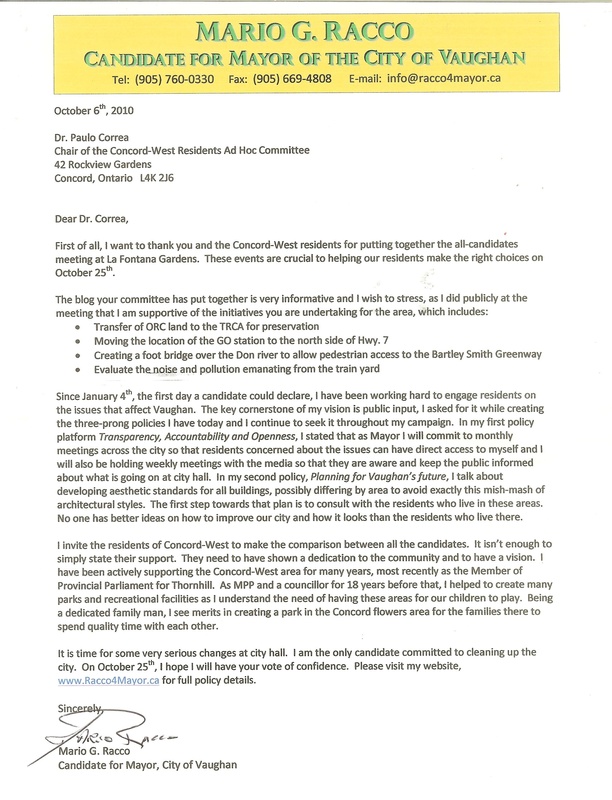 In November of last year, when we produced a detailed response to the first Draft Secondary Plan, and the Concord West position was expressed or supported in Committee by a number of deputants, Councillor Schulte said: “I just want to make sure that the issues addressed by the community, particularly, by Dr. Correa and Mrs. Josie Mastrodicasa are dealt with in some form. And, I’m sure you’ll be receptive to additional meetings and consultation to hopefully come up with some compromise where we can all agree”. Yet, since then, no such meetings or consultations ever took place. Instead, we are being presented with a new version of the Secondary Plan document. But when one tries to gauge what has actually changed in this version, the overall impression is that there are no changes that respond to the wishes of our community. As one of the West Concordians expressed it, it’s “here we go again”. I, for one, feel frankly discouraged from investing time and effort in reading this new version. So, I would like to ask Council or Staff, as our elected representatives, a favor: please summarize for me concisely how this new document addresses and responds to the specific concerns and wishes, listed above, of the Concord West community. In other words, please tell us what, concretely, you have done for us between the draft version and the present version. The task of responding to the deputant was taken on by John Mackenzie, Commissioner of Planning and Roy Mc Quillin, Manager of Corporate Policy. Their response can be summarized as follows. They appreciated, and were thankful for, the “input” (a euphemism for opposition, dissatisfaction, desiderata) received from the Concord West community. However, the Secondary Plan, they said, has to respond to a number of other interests and pressures, and the municipality, while trying to make the best of the situation, has no control over some of the outcomes that the Plan reflects. They enumerated a number of modifications introduced in the present version of the Secondary Plan (which, they pointed out, was “informed by experts from all levels of government”) in response to comments from the residents, and pertaining to building heights, infrastructure improvements, traffic, and phased development. 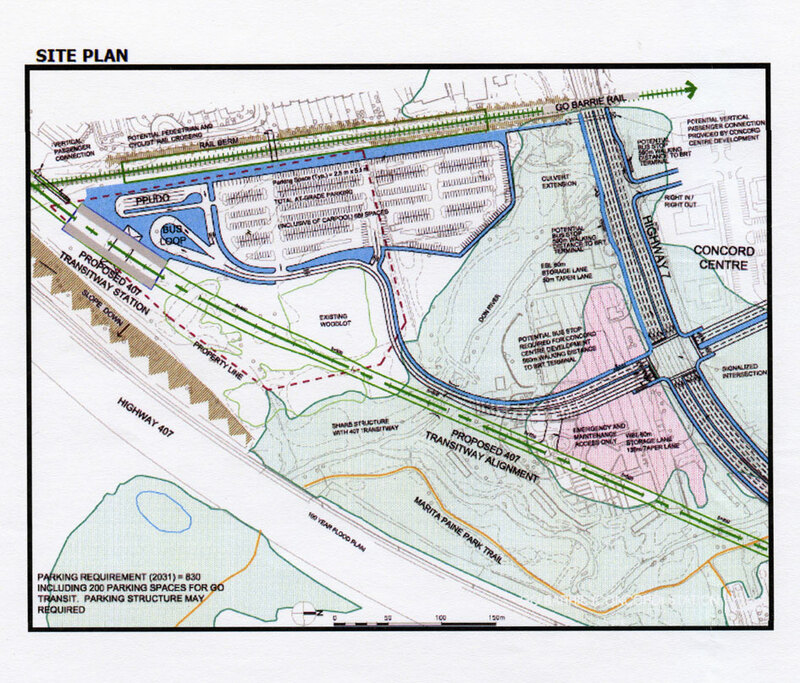 But what about the issue of the Concord West Greenspace and the location of the transit hub? Seemingly on this topic, Commissioner Mackenzie acknowledged “We’ve also had a great deal of interest in […] making sure that transit is developed in such a way as to reduce any potential impacts on the woodlot that the community holds near and dear.” Which “woodlot” did he mean? Later in the proceedings, four seemingly different “woodlots” would be mentioned, one of which, too – a “woodlot to the north” (of Highway 7) – the Commissioner would describe as “precious to the community” and as a “woodlot” that the present version of the Plan has rescued from having an access road going through it. We would assume that the Commissioner knows that these two “woodlots” are not the same, and one of them, i.e. 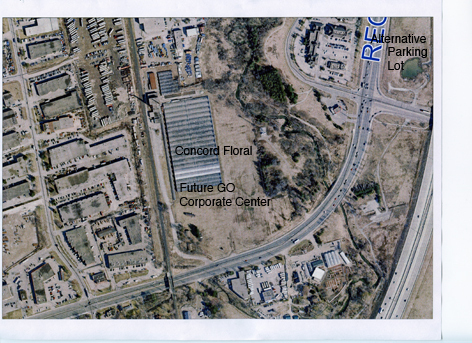 the Concord West Greenspace, lies in Area 6, to the south (not north) of Highway 7 – but it is difficult to be sure, and it is a bit disconcerting that after so many years, the City representatives have not developed an ability to refer with precision to the greenspace that has been the focus of Concord West’s struggle, and that they speak as if all “woodlots” were interchangeable. 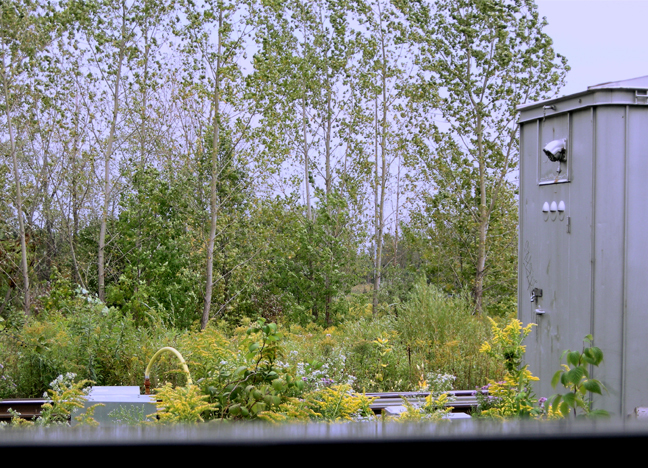 And not only are, in the thinking of the City, all woodlots and greenspaces conflated and regarded as interchangeable, but all “parks” are regarded as interchangeable with them. Thus, for example, Commissioner Mackenzie expounded further, seemingly on the same topic, that the phasing proposed in the present version of the Plan allows for putting in place “those infrastructure improvements and those community amenities such as parks and other elements that create a strong community”. This was altogether incongruous in the context at hand, since what the Concord West residents have argued all along is that they already have – have had for decades – a strong community and a local greenspace that is part of this community’s natural heritage, and that the proposed developments threaten to destroy both. 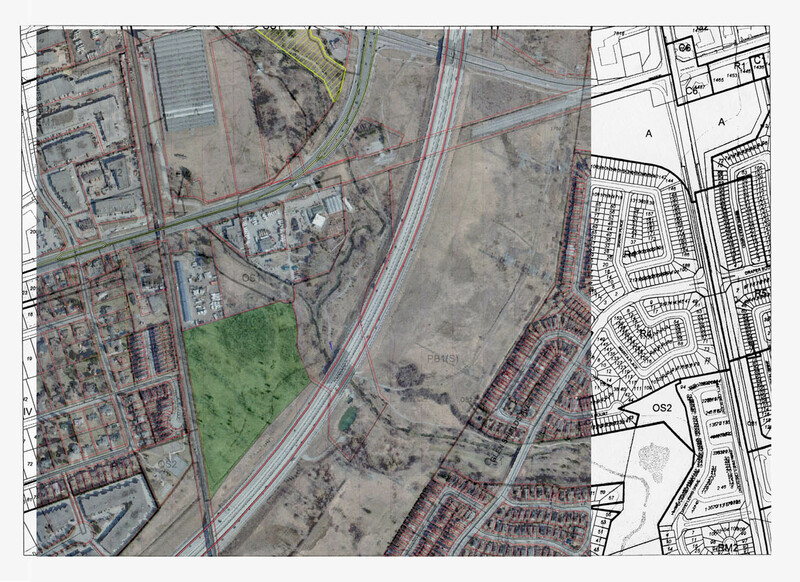 But the City – just like the Region, the Province, and Liberty Development – seems to think that a greenspace is a big lawn with some trees on it, and if such a thing is eradicated in one place, another such thing, brand-new, can be substituted for it in another place, and will serve to keep the same set of people (or perhaps some other set) communally strong. In fact, the brand-new thing – so goes the thinking – is usually much better than the old eradicated one, since the latter may have been messy, unkempt, with overgrown paths, unruly trees, ungardened flowers, unlandscaped vistas and undomesticated animals; while the former can feature wheelchair-accessible cement walkways, flower arrangements in portable pots, childrens’ playgrounds, picnic tables and sports amenities. And so the eradication of existing natural greenspaces, coupled with the spending of public moneys on the creation of cookie-cutter-designed, wheelchair-safe and sports-rich “community parks”, seems to have become, for politicians and planners alike, not just business-as-usual but a special source of pride. Don’t get us wrong: it is important, and in fact indispensable, to create parks that can be easily traversed by all, and offer amenities for children and sports facilities. But it is not a substitute for honoring and nurturing a community’s attachments to a “wild” natural environment that has formed itself over time, cannot be recreated or reproduced, and offers – if only in miniature – the documented mental and physical benefits of what the Japanese cherish under the name “forest bathing”. A cement path is not a substitute for a forest trail, and a lawn is not a substitute for a meadow. Planners and governments that confuse them can only, in the final analysis, force upon their constituents locales that are unlivable. From the inception of the Secondary Plan process, the City has been marketing its gameplan with respect to the Concord West desiderata as a supposed Realpolitik; but it in fact it has revealed itself, with ever greater clarity, as pactuation, shilly-shallying and pussyfooting. In the final analysis, the City’s gameplan amounts to hoping that the issue will simply go away: maybe the Province will run out of money, Metrolinx’s attention will shift away the Concord West “woodlot”, the residents’ affections will be transferred to some new “community park”, etc. As the old joke goes: given enough time, maybe the horse will learn to sing. Whenever its flabbiness was clearly brought to light, the City has invariably resorted to pleading impotence. And so it was at the June 17th meeting. Picking up on the “pushback” argument, Regional Councillor Michael Di Biase next took the opportunity to ask Commisioner Mackenzie to “outline some of the things that this Council, this City, does not have control over”, so that “everyone” (meaning the residents, who have for a long time “desired certain things”) “can get a better understanding “. And the Commissioner’s answer, of course, is that the City has no control over precisely the two issues on which the Council had unanimously promised to support Concord West: the disposition of the greenspace in Area 6, which lies within the provincially administered Parkway Belt West Plan, and the location of the Transitway station, which is under the purview of the Ontario Ministry of Transportation. “So as a city”, he added, “what we can do, and what we’ve done here, is outline how we can provide input, and […] what we’re going to try to seek in terms of alternatives and make sure that they’re examined during those upcoming processes, but that’s where we’re limited.” A very poor substitute indeed for taking a firm stand on the side of the Concord West community, and declaring the City unequivocally in the latter’s support. If the City had firmly stood with the residents, the residents would have no reason or desire to fault it – even if the battle were ultimately lost. The City’s betrayal, as the Concord West community sees it, does not lie in not winning, but in not actually fighting. Lastly to Dr. Askanas’ deputation, Regional Councillor Deb Schulte asked hopefully, if a bit vaguely, whether perhaps “what the community identified as being the natural areas that they wanted protected” fell under the rubric of Natural Heritage, in which case those areas would be embraced by the clause “New development and/or site alterations within Natural Areas are prohibited [unless] the proposed development and/or site alteration has minimal impacts” [item 5.2.4 on p. 7.110]. This resulted in a little contradance between Councillor Schulte and Commissioner Mackenzie in which four seemingly different “woodlots” or “natural spaces” were thrown into a pot and stirred together, strongly suggesting that the elected representatives of Concord West have not, to this day, bothered to form a clear idea of what exactly it is that they had solemnly promised the community to protect. And so, there was a “woodlot” described as being “to the north”, about which the Commissioner said that “an opportunity came out (where?) to “enhance it” (how? 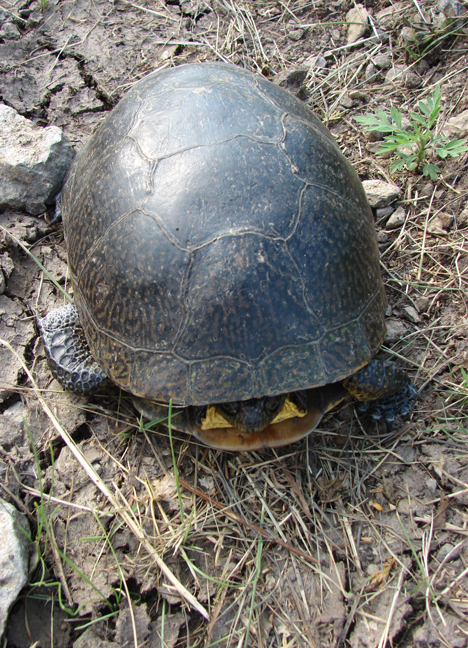 ); another “on the MTO-proposed Transitway station site” about which he said that “a strong interest came out in protecting it”, another which the Councillor described as being something the residents were asking to be maintained, and lying “to the South of Highway 7, on some table land – there was a patch – remember the Blanding’s Turtle?”; and, finally, a “woodlot” that the Commissioner described as being “west of the main valley corridor”, and “outlined in dark” (???) on p. 7.33. These last two “woodlots” were jauntily assumed by both interlocutors to be the same, and the Commissioner assured the Councillor that this conflated woodlot was, at one and the same time, included in the protected Natural Heritage Network, and included in the Parkway Belt West over which, as we already know, the City has no control and which is not subject to protection. After which the Councillor expressed to the Commisioner her appreciation, thanking him for “incorporation of many of the communitiy’s wishes”. This is not a joke. It happened. My name is Dr. Paulo Correa, I live in Concord West and I’m a director of the CWRA [Concord West Ratepayers Association]. I’m very sorry to be here today under these circumstances. I think this Response is a sham. This is actually worse than the previous version. Yes. Yes, yes, Deb. Much worse. Because – well, how many of you have actually read this? Can you put your arms up for me just so I know how many of you actually read this document? Dr. Paulo Correa: Yes. I know. There are no questions. It’s a one way street. Well – this is a setback. Because if you look back at the [Response Table that starts on p. 7.35], you can see what’s happening in there. All of our ‘concerns’? – they were not addressed; not one of them. But the ‘concerns’ of the Region, of Metrolinx – which is not an elected body – and of the Province were. And even though we have Councillor Racco as our local councillor, and she can draw in Justin Trudeau and she can talk to the Metrolinx people – all their ‘concerns’ were in, but ours weren’t. Isn’t that funny? And Councillor Schulte, just a moment ago, you made a question to Commissioner Mackenzie – and the answer that he gave you is erroneous [in that it incorrectly identified the area we have been fighting about]. Indeed, as you were saying, we’re concerned about the protection of the table land to the south – much to the south, in Area 6, that we pointed out to you before. But all of you failed to address any thought or any conceptual vision for it. Councillor Di Biase, the last time we had this conversation, you said the same thing: “The Province dictates”. The Province doesn’t dictate anything. You actually have the responsibility to put your conceptual vision in front of everybody. You have failed to do so. In fact, you are hiding behind the skirts of the Province. And we all know, with this past election, what that means. You guys are going to intensify at the cost of this community and not just this community. You are intensifying at the cost of the natural heritage, the [Don] river valley. I bet not one of you has actually walked through there to see the mess that is there at present. Over four years, you made promises to us when you knew very well what your jurisdictions and responsibilities were. And, in fact, you have not lived up to them. Because if you had lived up to them, you would have presented to the Province your vision and have said: OK, maybe in the end you can railroad us and put that Transitway right across the Greenspace – but you yourselves, the Province that is, you said B5 [the alternative Transitway trajectory which lies south of Highway 407] is the best trajectory – the very trajectory that [you, the] Province, said was more economical and [which] will not destroy the [Concord West] Greenspace. I don’t know how to describe this. After this, I feel like not participating any more because it’s a waste of my time. I don’t have time to come here and spend 4 or 5 hours and work so hard to try to get support from this Council to do the right thing. From day one, you said you had made your own decisions to push to have this station moved north. And what do I mean by station? It’s a hub. The Province spent a lot of time to put a hub together with three components. The present Response, which is sham, takes it apart, disintegrates it – so that, tomorrow, your friends in Council, your successors, will be able to do exactly what was there before [we began this fight]. 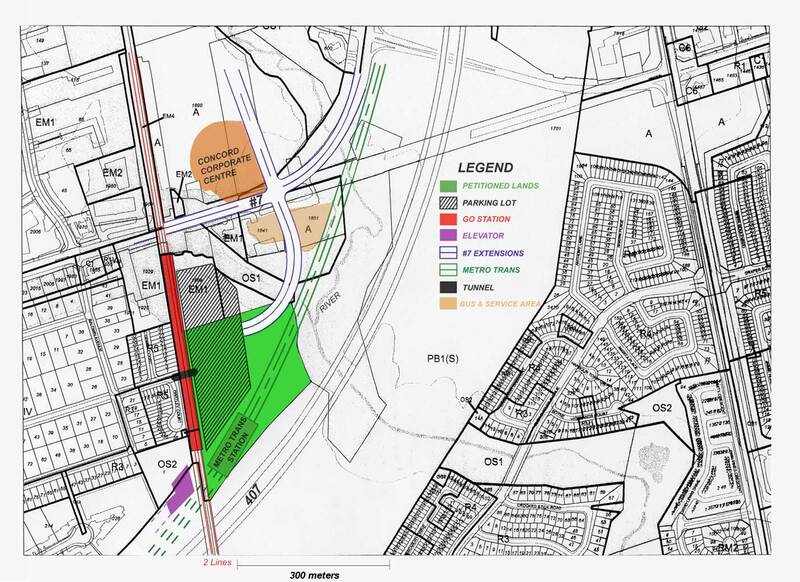 And, in fact, there are repeated references in here to the previous EA and the placement of the Transitway – including, including, the implicit acceptance that the Transitway will be on the south side, precisely on the [Concord West] Greenspace. And in fact, the Response even goes as far as saying [p. 7.106] that VivaNext might put yet another drop-off spot and pick-up point in there and implicitly, you even accept that there might be a road into that space. I mean, what have you guys been doing all this time? I bet you have not read this and I bet that those who have read it have not stood up for what you promised this community and what you said you were going to do. And very specifically, I would like to have it explained to me how our local Councillor has not pushed at the level of the Provincial government. You have not pushed for any of what we’ve been fighting for. You have things in here that are so preposterous – it would take minutes and minutes – hours [to enumerate]. And, in fact, where are those hours? We were supposed to have heard from the Commissioner, we were supposed to have heard from you. I know that both you, Deb Schulte, and you, Gino Rosati, said last time, ‘I hope you go back and talk to the community’. Nothing has happened. Nothing. Just because this community asked you to speed up this process, it wasn’t like giving you a blank card to go ahead and reverse it halfway through. This is the beginning of the reversal. The repeated references to the EA, the repeated references to ‘well, it may all end up being as it was before’, the repeated acceptance that ‘the Province dictates’. This is not acceptable. And by the way, the community didn’t just ask to be protected and defended, nor for you to just protect and defend the Concord West Greenspace [- but to defend Vaughan’s natural heritage]. You know we have met this same kind of cowardice from the TRCA, where several of you have sat and sit. We asked for a meeting with Dalton McGuinty, he didn’t give it to us. Why has our local councilor not asked Kathleen Wynne to do the right thing? There is a community here, and it’s going to suffer. One last thing. Not even with respect to the problems our community has been mentioning concerning the huge Liberty development to the north of us have you listened to us. I mean, you’re putting a neighborhood park abutting a double railway track? I mean, don’t you know that the park is to the west not to the east? For me – I would like to not have to have said what I’ve said today. I’m incredibly disappointed in your work. I think it’s a sham. And I’m disappointed with the work your people have done, even though I know John and Roy have made good efforts – I understand their policy – but this isn’t how it [needs to] work[s]. My name is Josephine Mastrodicasa and I happen to be the President of the Concord West Ratepayers Association. As you have heard from my colleagues, you understand how disappointed we are. It was strongly voiced and you understand it loudly, or I hope you do. I have not had the opportunity of reading the report – I have had eye surgery, so reading is difficult. However, I did glance at it and I do have some comments to make – however, they’re very sporadic. Basically, I want to reiterate Councillor Schulte’s statement ‘reasonable intensification’. That’s what we asked for. Not to destroy, to enhance. We’re not getting it. 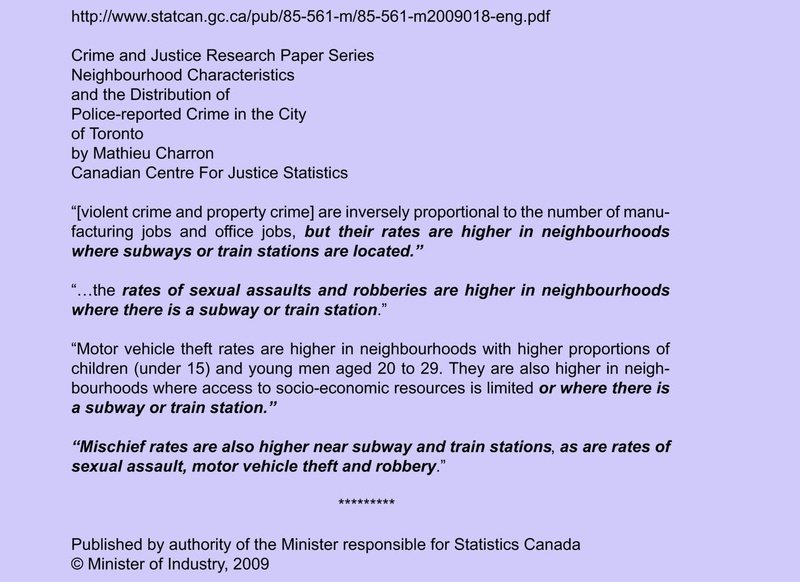 As I looked through this document – again, I did not read it all – some stuff came to my attention, not necessarily related to the GO Train or the Viva, but just general comments in here. For example, [the Response repeatedly refers to a proposed] ‘Road Link’. What does that mean in English? Is it a driveway? Is it a road? Is it an access? Has this land been purchased? But it says a road link. I don’t understand that as a terminology. Maybe someone can explain that to me. We have a partial interchange at, I believe, 407 and Centre Street. I think that’s a good thing. Why partial? Why not a full interchange so that it could alleviate some of the traffic? I looked at [the replacement for paragraph] 4.2.184 [on p. 7.105]. It talks about a road with [width] 13.5 meters for a humongous subdivision. It’s not a cul de sac, it’s a major subdivision. And a 13.5 meter road? Unacceptable. The Response says that no direct vehicular traffic from Highway 7 will be permitted. This is 4.2.13 [on p. 7.104]. How would people get into these subdivisions, if you’re not going to get in from Highway 7 and you have no other access? 4.25 [on p. 7.103] talks about connecting Bowes Road to Rivermede Road to Keele. There is a connection already. What do you propose to do? Explanation please. Parkland. Dr. Correa has already spoken on parkland. I’d like to add one more item. A park that is smaller than my backyard is not a park. A square that’s on a second floor should not be substituted for a park. We need a park that the children can walk to so that you don’t need another vehicle. Putting the park where Dr. Correa has pointed out you placed it, by a double rail track at the end of the subdivision where the industrial area is – is not for the community. 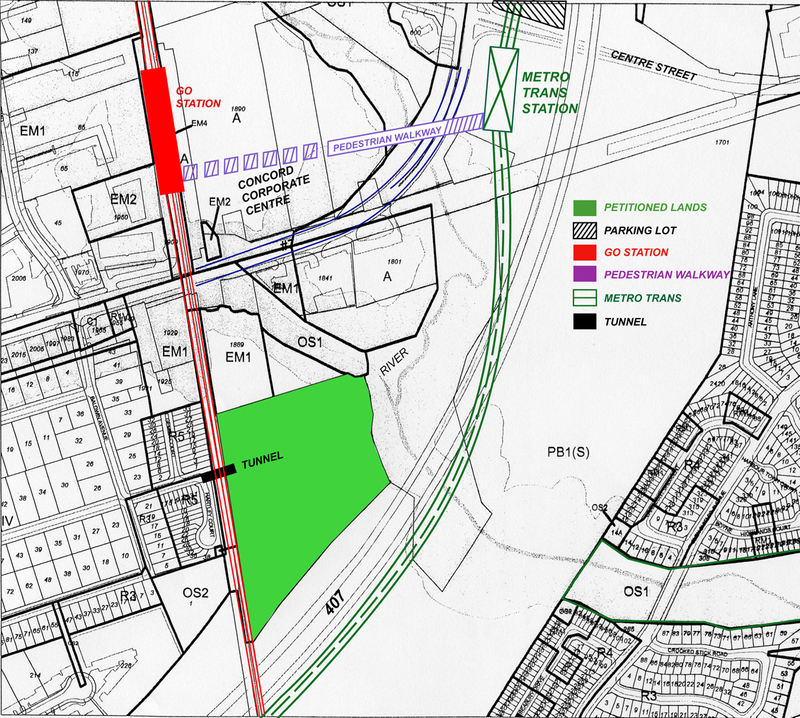 Again, we heard from a previous delegation – not for our area – about buffers. Do we have a buffer for our area for all this stuff that’s going on? Also, I’d like to invite all of you to take a road trip with me at any time and see how long it takes you to get out of my street to get to work, which is not even a mile away. So please join me. I’d like you to explain to me how you expect all these thousands of cars to share the road with me, right now, that is already not trafficable as it is. Unless you develop a car that flies, there is no way that any of this should be admitted, supported until all the t’s are crossed and all the i’s are dotted. The residents of this neighborhood deserve to be able to enter their street. Nothing else should take place until that happens. Again, as Dr. Correa said, we need answers. We need answers that are specific to our questions. Thank you. This concluded the Concord West deputations for Item 7. Next came the Committee’s closing remarks – i.e. the remarks preceding the final vote by the Committee of the Whole on whether or not to accept the Staff’s Response document, and thereby promote it to a subsequent vote, in another meeting, by the Vaughan Municipal Council (whose membership, by the way, is identical to that of the Committee of the Whole). First, Regional Councillor Deb Schulte, remarking on the mutual frustration between the Concord West residents and the City, wanted to know from Staff whether there had been any attempt on the part of the City, prior to the release of the document at hand, to give the public “a chance to sit down and really work close to this final design – so that there is not a huge surprise here from what they were working with you on [in the dotmocracy “workshops” that had peppered the Secondary Plan process]”. The short and direct answer is of course “no”, but the question nonetheless provoked an exchange remarkable for its amnesic circuitousness, with Commissioner Mackenzie attempting impressionistically to bring before the eyes of the mind – his own and the Councillor’s – the various meetings which they had lately experienced in connection with the Secondary Plan. He recalled the “open house” of January 30, 2013, “where we had the concepts out on the tables, and people were very animated and very interested and involved and engaged, providing input on those concepts” (he didn’t mention that at this very workshop the public unanimously voted against the MTO-approved placement of the Transitway Hub that the City was – with whatever meek regrets – endorsing in the document at hand). After this, he said, there followed a lot of work, “technical in nature” (and thus, it is implied, inherently out-of-bounds to the animated, interested, involved and engaged public), “to take the information that was provided and try to turn it into something that was workable from [the viewpoint of] technical agencies”. And lastly, “there was the Public Hearing […] where we had the very-next-to-final draft that we could prepare, based on that input we received. ” At this meeting, he recollected, “there were deputations received, and particularly I remember quite vividly Dr. Correa’s deputation about the woodlot to the north and how precious that woodlot was to the community and we should not be recommending a road through that area; that was one area where we made adjustments to the Plan to reflect some of the input we received at the Public Hearing.” This is a bewilderingly amnesic description, seeing that at this very Public Hearing the Concord West Ratepayers presented the City with a forceful 27-page critical analysis of the Draft Secondary Plan – an analysis concerning which the Commissioner felt, at the time, moved to say that he had “never seen anything like it”. 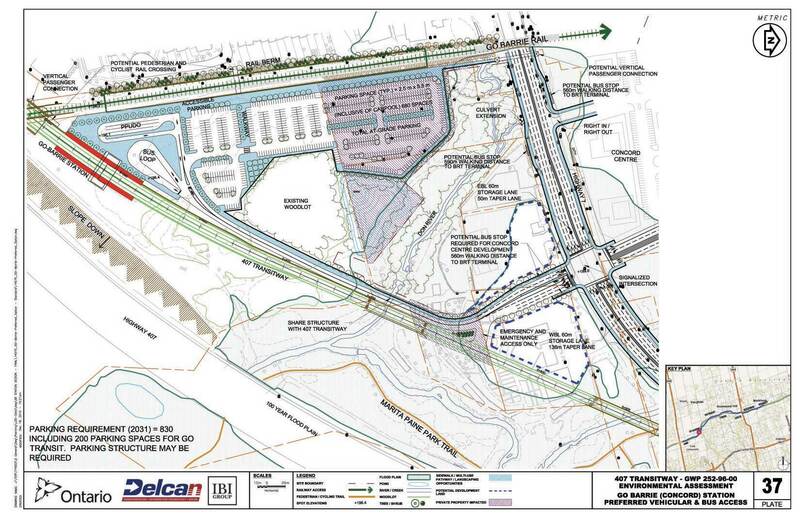 And it was definitely not the “woodlot to the north” that was the main focus of that document – its main focus being precisely the City’s pusillanimity in its dealings with regional and provincial agencies, and its default on promises to stand with Concord West in the community’s fight against locating the Concord GO transit hub, or associated infrastructures, in the greenspace in Area 6. Finally, after this selective trip down memory lane and with further prodding from the Councillor, the Commissioner delivered a highly periphrastic “no” to the original question, by saying “As for committee working meetings with them, and sketchpaper and that type of thing, there wasn’t any that I was involved in.” Which the Councillor correctly abbreviated by saying “OK, so there was no further meeting after the Public Hearing”. Moreover, it should be pointed out that rather than the so-called “committee working meetings” such as those of the sham Steering Committee, or the infamous dotmocracy exercise featuring “sketchpaper”, or the 5-minute deputation slots at Public Hearings, the City – if it had been serious about its desire to stand by Concord West – should have offered the residents direct, unstructured meetings between the City’s representatives and the community’s representatives. And, of course, kept the design process (however “technical” might have been its aspects) transparent throughout. Moreover, Councillor Schulte’s concerns about insufficient dialogue with the residents, and her appreciation of their frustration, were, at this late stage of the game, entirely vacuous – especially since, a few minutes later, she would vote in favor of accepting the document under discussion! It speeds forward, headlong forward, and has no time (or inclination) to think whither. And so, as urged by Councillors Racco, Schulte and Iafrate, a vote now took place, and the entire Committee, qualms or no qualms, unanimously voted in favor of the Staff recommendations. And a few days later that same document appeared once more in front of the same body of people, now designated as The Municipal Council; and – hardly a surprise – they once again voted to approve it. If the Concord West community actually values what it still has as its disposal, then it should en masse spoil its votes in the next municipal election. Not one elected representative has kept troth with his or her promises. In its tenure, the present City Council allowed the Region to extend the Viva-dedicated lanes on Highway 7 from Keele Street to Baldwin Ave, worsening the congestion on the northern border of Concord West; and it not only failed to protect the Concord West Greenspace, but allowed, in principle, mid-to-high densities bordering the Greenspace and the Bartley Smith Greenway, both north and south of Highway 7. The safe passage to the Greenspace across the tracks, promised 20 years ago and re-promised over the last four years, is as much a mirage as ever. Pedestrian access to the Bartley Smith along Highway 7 remains the death-defying exercise it always was. The City has failed to protect the river valley, failed to prevent storage and garbage dumps from invading the river’s surroundings. These are the failures of the present Council in Concord West. If you consider its failures in the rest of Vaughan, then the ethical viewpoint demands that those we elected and who have failed us so miserably must not be re-elected. This entry was posted in Ad Hoc Committee Updates. Bookmark the permalink.